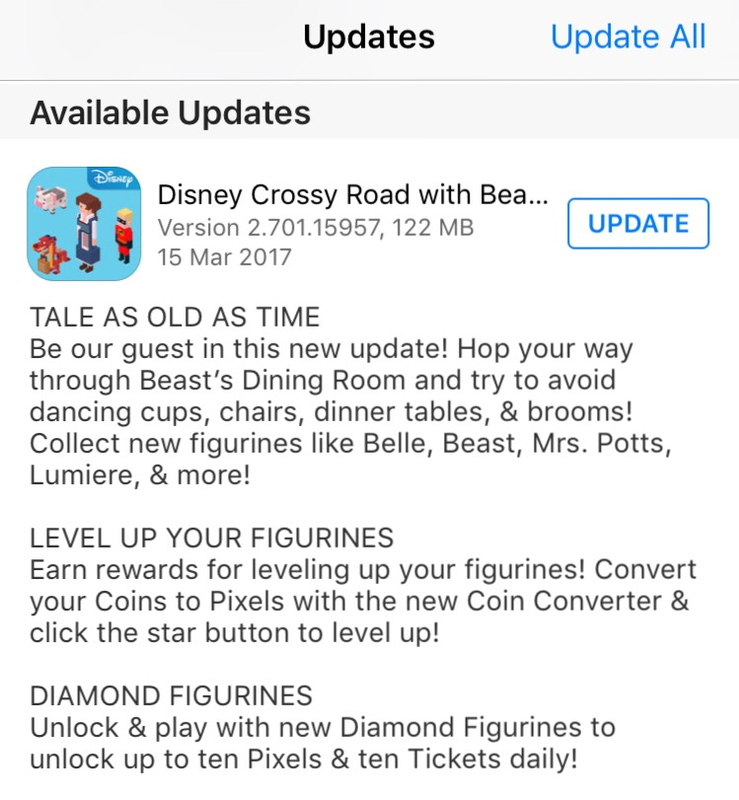 A new Disney Crossy Road Update with NEW characters from „The Beauty and the Beast“ 2017 movie was just released on March 15, 2017 (tale as old as time – version 2.7). 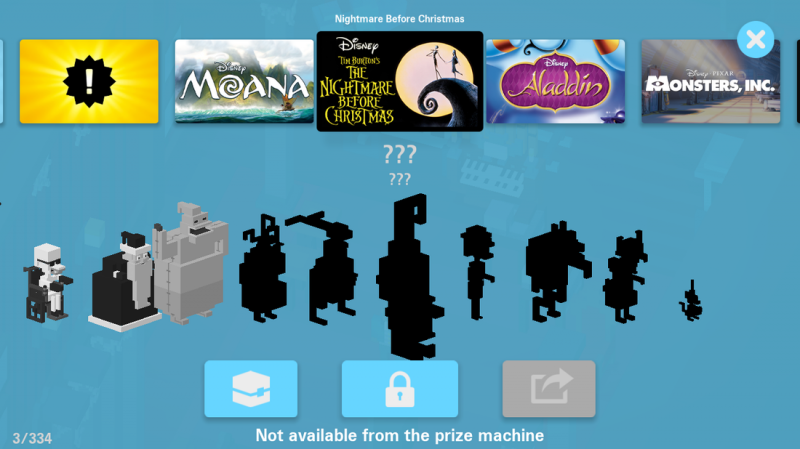 This time it’s all about Belle, Beast, Mrs. Potts, Lumiere and many more. The total character count went up from 413 to 444 adding all new characters and secret characters!